Price: €2 per GPS book, GPS units available for rent at campsite reception @ €10.00 per unit, groups may bring their own GPS units. Geocaching is an outdoor recreational activity in which the participants use a Global Positioning System (GPS) receiver or mobile device and other navigational techniques to hide and seek containers, called “geocaches” or “caches”, anywhere in the world. A typical cache is a small waterproof container containing a logbook where the geocacher enters the date they found it and signs it. Larger containers such as plastic storage containers (Tupperware or similar) can contain items for trading, usually toys or trinkets of little value. 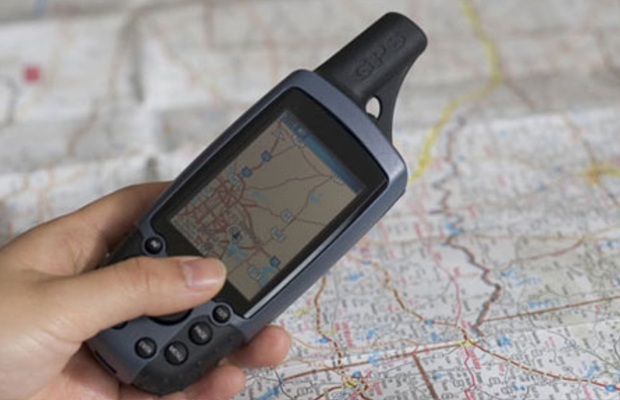 Geocaching shares many aspects with orienteering and treasure hunting. Geocaches are currently placed in over 200 countries around the world and on all seven continents, including Antarctica,and the International Space Station. After nearly 13 years of activity there are over 1.9 million active geocaches published on various websites. There are over 5 million geocachers worldwide. In Larch Hill we have our own hidden set of Geocaches that are only available through the centre. To date there are 10 boxes hidden, each containing notepad and pencil to sign in, and a selection of badges to trade, and we will continue to design and hide more interesting caches in the future. Geocaching involves leaving something of similar or greater value than what you are taking, so please leave a badge when you take a badge to keep this activity going. Remember don’t spoil this for the next Geocachers and make sure no one is looking around you as you don’t want to give away the hidden cache to non-geocachers or “muggles” when you have found it! Please replace the box exactly back where and as you found it, as each cache has a very specific clue and set of GPS coordinates! Staff will give an introductory session on the use of the GPS units. To find the cache, input the co ordinates into the GPS and navigate to there. When at the location of the cache, try and solve the cryptic clue which goes with the cache and start hunting! Remember that often cache’s are well hidden, only people searching for them should be able to find them. It is recommended that you also use the map of the estate in conjunction with the GPS unit. It’s simple really! When you have found the Cache, Log your visit in the book provided, and feel free to comment, swap your badge which is yours to keep, only swap one for one, never take more than you’re leaving. It is ok to leave more though! Be careful with the Geocache, it should be left in exactly the same place as you found it and hidden the same way. Each cache has a specific code on the inside lid of the box, jot it down on the control sheet to prove you’ve found it. Let us know if you have found all the caches in Larch Hill, you deserve a reward. Ensure group knows the dangers of running over rough terrain and through forests, watching out for uneven ground and tree stumps. Ensure group knows the boundaries, everything is on the estate, no need to go on public road or trespass on private property. Ensure group knows that the main access road from the front gate to the campsite is a road and does have vehicles going up and down. Ensure group has appropriate footwear. Boots are recommended, sandals and flip flops are dangerous. Also if walking/running through forest, be careful of scratches from bushes and trees. Ensure everyone has water to avoid dehydration.